Every major analysis of the bill says that it would add at least $US1 trillion to the deficit. Republicans have not produced an analysis that shows the bill would be revenue neutral. 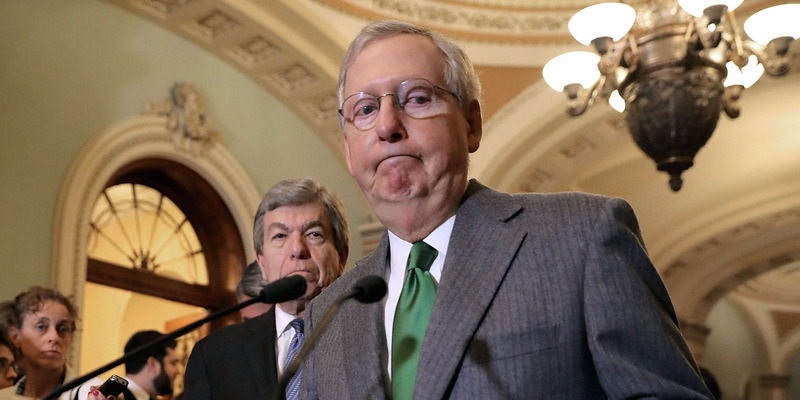 On Saturday, Senate Majority Leader Mitch McConnell told reporters in his home state of Kentucky that the GOP tax bill that had passed hours earlier would end up paying for itself. After the passage of the Tax Cuts and Jobs Act (TCJA) in the Senate, Republicans like McConnell are still claiming that the bill is a “revenue neutral tax reform bill.” The problem: No major analysis of the bill agrees with them. McConnell’s comments echoed those from other Republican lawmakers and Trump administration officials. Treasury Secretary Steven Mnuchin, for one, has repeatedly claimed that the TCJA would actually decrease the deficit. But not a single major analysis of either the House or Senate TCJA projects that the bill would end up being revenue neutral. According to a roundup by the Committee for a Responsible Federal Budget, analyses from the Tax Policy Center, Penn-Wharton Budget Model, and Tax Foundation all determined that the TCJA would add more than $US1 trillion to the deficit – even when increased revenue from economic growth is added. Even the official government scorekeeper, the Joint Committee on Taxation (JCT), has disagreed with the notion.The JCT analysis of the Senate bill said it would add just over $US1 trillion in new debt over 10 years even when adding in the effects of increased economic growth. 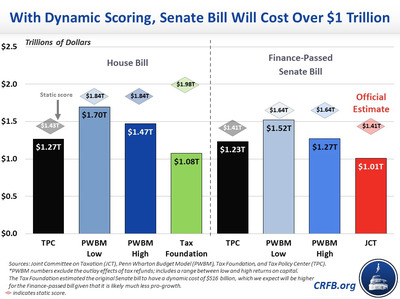 Republicans dismissed the JCT score and other analyses, saying that the assumptions and underlying models were flawed. They have not, however, produced an analysis that shows the bill would pay for itself. The New York Times reported that despite Mnuchin’s claims that the Treasury Department has produced an analysis showing the bill was revenue neutral, no such analysis was undertaken.